I am so excited about this book. I loved The Immortals earlier this year, when I got the opportunity to read it as well as listen to the audiobook which was superbly narrated by the author. It had me hooked from start to finish, and here’s hoping the sequel will be just as awesome. 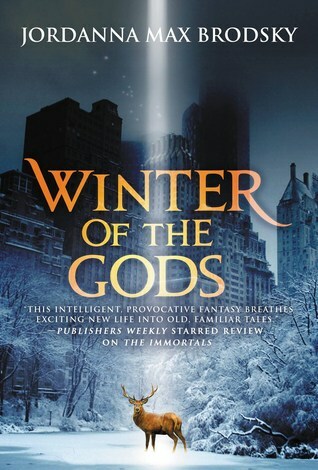 “Myth and reality collide in this sequel to The Immortals that sets Greek Gods against a modern Manhattan backdrop. ← An Interview with Erin Lindsey + The Bloodbound Series Giveaway! Oh I’m in love of the cover! Ooh nice! That’s a new to me one! Hope you enjoy it once you read it!! February is SO far away, I want this NOW. Hmm, sounds like a cool series. Nice. I still need to read The Immortals but this cover has me wanting to start it sooner rather than later. I’m thinking of making January 2017 a month to focus on books I wanted to REALLY read and never got around too. My plans will probably change before then, but so far, it might work. Thanks for posting a great cover! The first book is still on my “next” list for future acquisitions, but I really need to start this series, since Greek mythology has always been one of my preferred topics at school, and it would be great to revisit those concepts in a new form. Yes, please! I really enjoyed the first one. I loved the first and absolutely can’t wait for this one! I really need to read The Immortals before this one comes out. I think that book is randomly sitting in my desk at work.